Indian cinema (Bollywood) which began silently at the turn of the last century has over the years made its presence felt in the world with a loud bang! Crossing borders and riding across the Arabian Sea it has created ripples even in the Middle Eastern countries. Indian cinema and artistes have proved that artistes have no borders and culture is no barrier. Artistes like Shahrukh Khan are icons in a region where the Indian culture is totally the opposite of Arab culture. Even the language is nowhere near to being understood. One such artiste who has proved that artistes can transcend borders and culture barriers is Ferdous Ahmed. He has made the critics of Bangladeshi cinema both home and abroad, take a back seat. With a Masters in mass communication and journalism, a trainee pilot Ferdous has given the much-needed class to Bangladeshi cinema. He was picked up from the ramps by veteran Bangladeshi dancer, Amir Hossain Babu. A national award winner with more than 40 films released both in Bangladesh and West Bengal, India. Ferdous has achieved a commendable amount of success. "I am working in India successfully. Earlier they use to think that we are not up to the mark. I think I have changed that concept. I believe in the near future a lot more of the new breed of Bangladeshi artistes will work abroad," Ferdous Ahmed proudly declares during his tete a tete with Arab news. Modesty and simplicity is Ferdous' trademark. He uses this combination in selecting his roles. This is one of the reasons that have gained Ferdous international popularity in both Bangla and other films across borders. Not only has Ferdous worked with the famous director Iqbal Burrani from Indian Cinema (Bollywood) in Mitti but has been offered a role in Canadian film Floating Stones. It is expected to start next year. The Pakistani film industry has also approached him. Amongst Ferdous's films Hatath Brishti, directed by Basu Chatterjee, is his favourite. 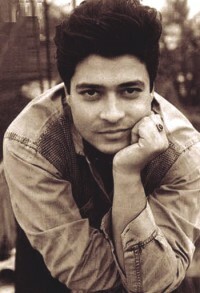 His role won him the national award for best actor and also the 'Vjala Anondodok' award from Calcutta for the same film. A typical song and aerobic dancing scene shot was being prepared when I met Ferdous at the Fdc. Asked about the current standing of Bangladeshi films in the international market and its present state of affairs Ferdous replied, "It is improving day by day. We need modern equipment such as cameras and other instruments. Also the environment of cinema halls in Bangladesh should be changed so that more families can come to watch the films." Actors in Pakistan's cinema world, echo similar complaints. However, Ferdous is hopeful for the future of Bangladeshi films with young men and women from educated and 'cultured' families joining the film industry in Bangladesh. "I think this habit should increase, only then can our industry improve." Ferdous is truly a man of substance as far as the celluloid world is concerned. His favourite actors include Tom Cruise and Uttam Kumar. Ferdous wants to contribute more by doing some 'memorable roles'. "I want to do selective movies. I also want to direct and produce more movies in the near future." His latest release will come out next month, Prem Toto Jala. Currently his film Bachelor is running successfully for the seventh consecutive week all over Bangladesh. The story revolves around four young bachelors. It tells the story of these young men's plight while trying to make new girl friends. It is a typical comical reflection of Bangladeshi youth in an urban environment.